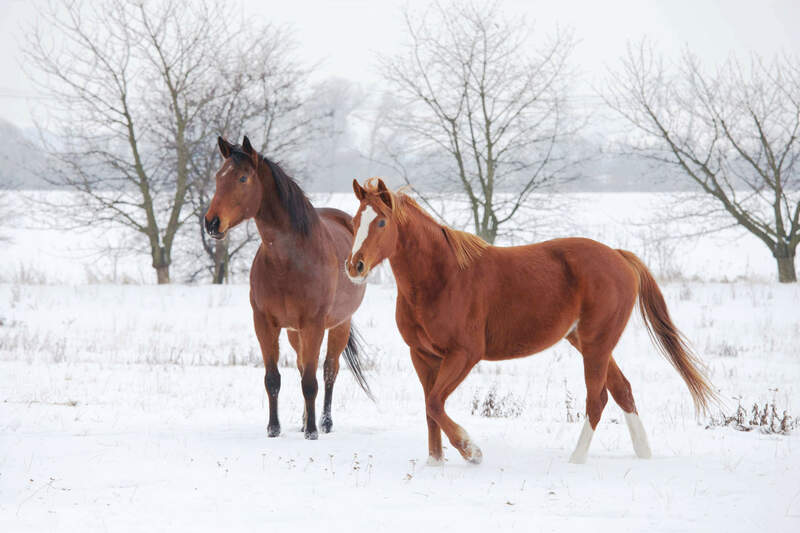 For horse owners in many parts of the country, winter and cold weather means “buttoning up the barn.” As barn construction has changed over the years to more closely mimic residential construction, they have become more air-tight and tend to hold stale air inside. This results in a multitude of issues unless proper ventilation was planned and incorporated into the construction. Barn ventilation is a crucial factor in maintaining a healthy environment for the wellbeing of the horses stabled inside. Long-term stabling in barns with poor air flow may lead to problems associated with breathing in air pollutants, skin conditions, allergies and eye issues. Ventilation can be defined as getting fresh air to the horse. During the summer, ventilation is needed to remove heat, while during the winter it is needed to remove moisture, ammonia, hydrogen sulfide, dust and airborne pathogens (Fig. 1). Ventilation issues tend to be more prominent during the winter months when barn doors and windows are kept closed. There are two ways to create air flow in the barn; natural and mechanical. The natural method is based on the fact that hot air rises with thermal buoyancy, using wind forces to remove the exhausted air (Fig. 2). The second approach involves mechanical movement of the air via the correct use of fans and specific intake and exhaust areas in the barn. Proper ventilation will also minimize the horse’s exposure to drafts, while supplying fresh air and removal of stale air. 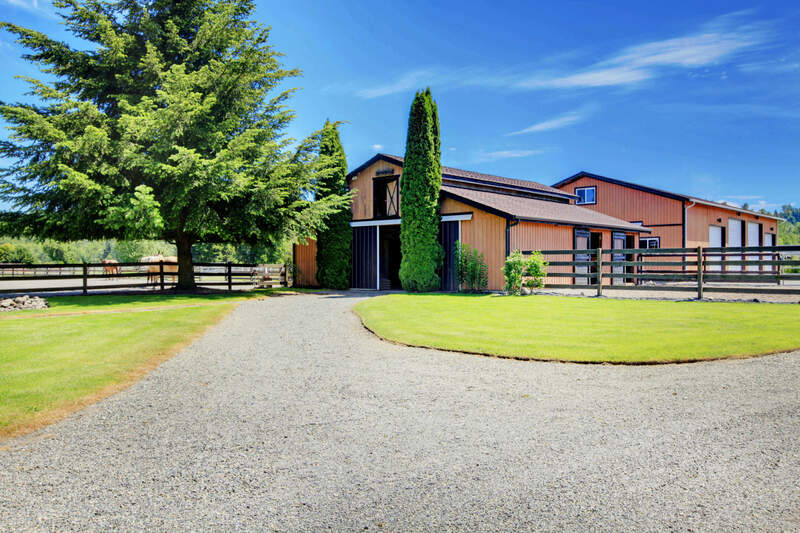 Keep the barn clean: remove dust, spider webs, old hay, bedding from corners, walls, etc.